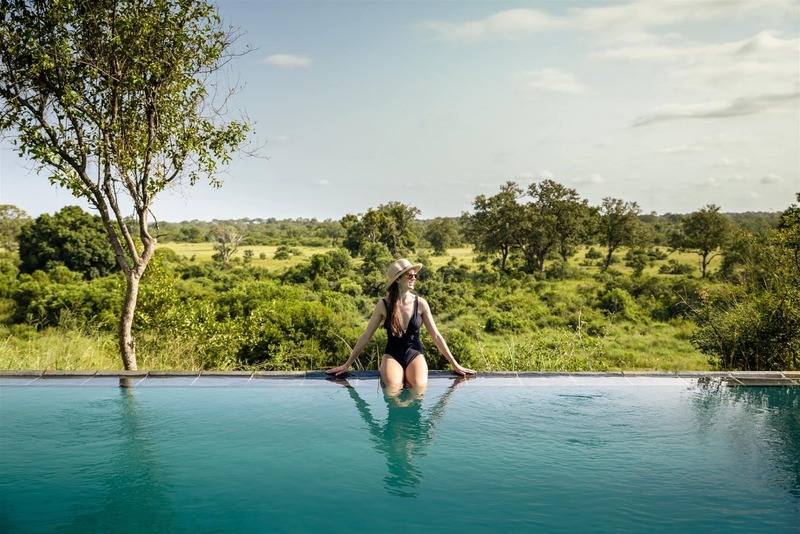 Singita Boulders Lodge follows a curve around the rock-strewn banks of the Sand River which provide its name and inspiration. 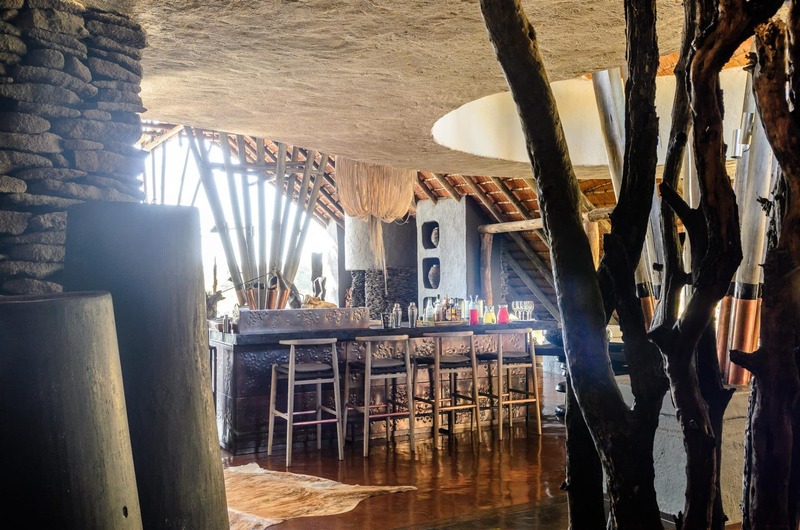 Design is sophisticated yet cleverly raw and natural, an oasis where organic interiors blend into the beauty outside. 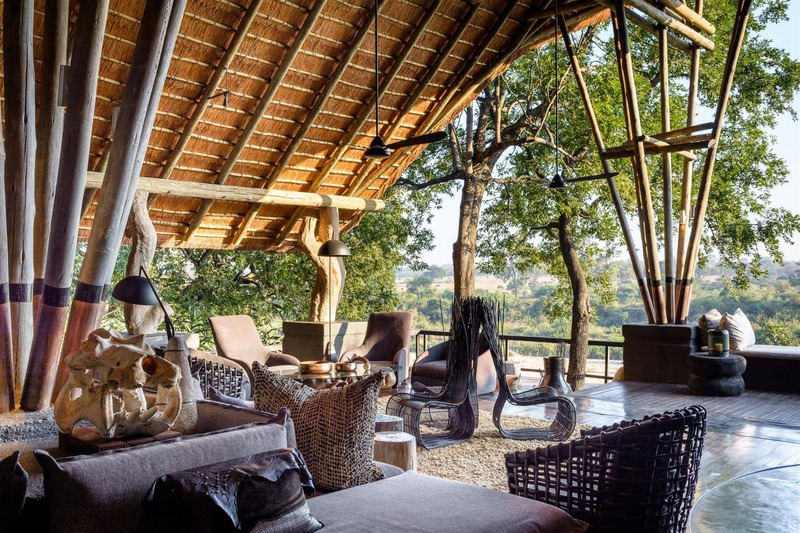 The last of the Singita lodges to be totally refurbished, it is spectacular. 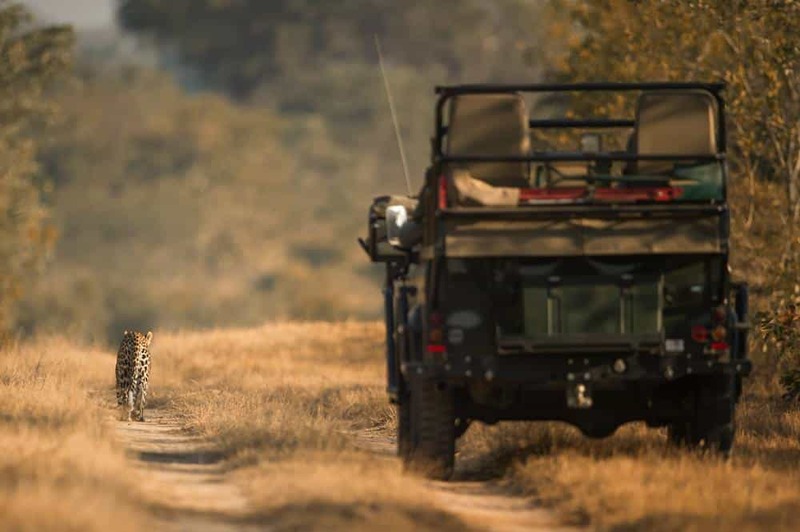 Singita’s privately owned chunk of Sabi Sand is one of the best places for leopard and lion sightings and has exclusive traversing rights over 182 square km of land with high concentrations of big game. 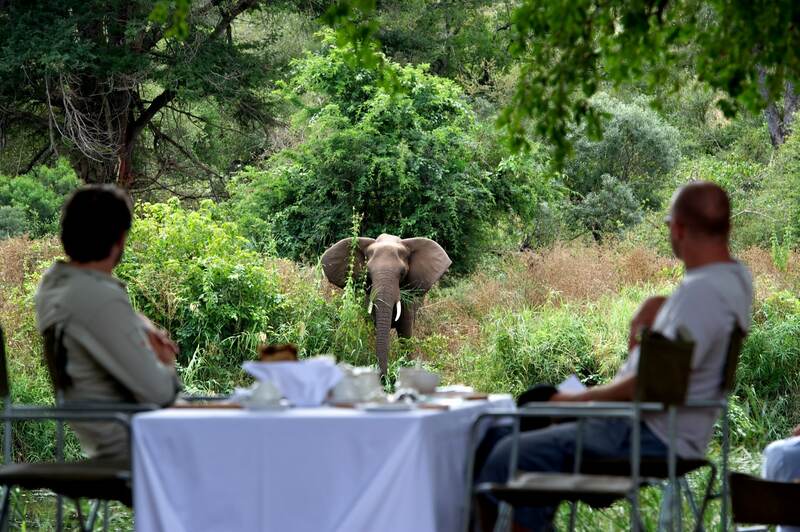 Photographic opportunities are superb and guides keen, but you will create memories for a lifetime by just looking. 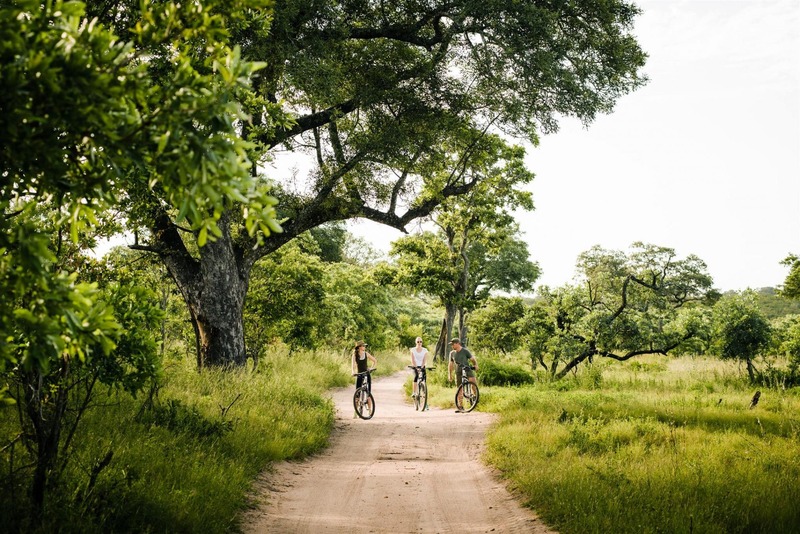 Drives and walking activities are complemented by archery, star gazing and mountain biking (helmets, cycles and armed guides are provided). 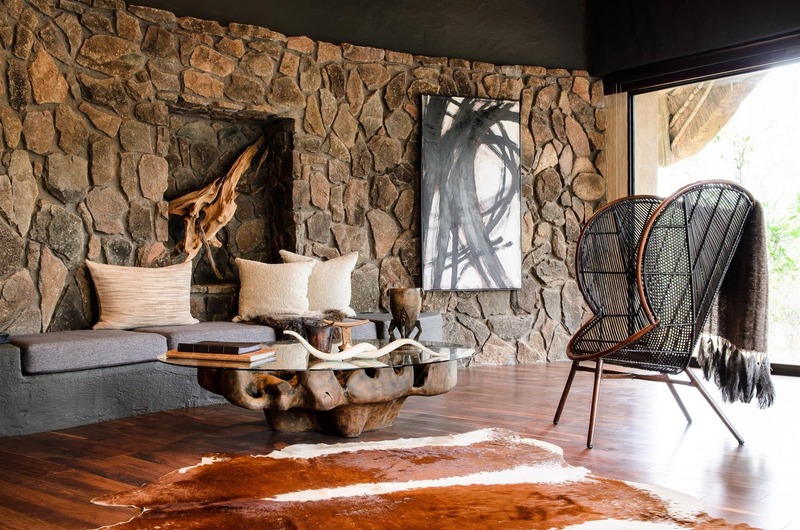 Twelve unashamedly modern glass-walled suites are spaced between ebony and weeping boer bean trees. Where possible they open to the elements. 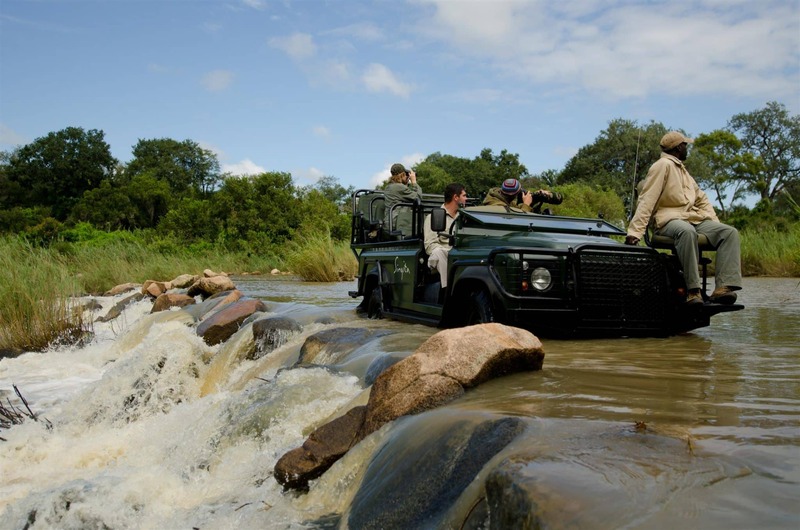 Eight are on the river so you closely engage with the magnificent setting. 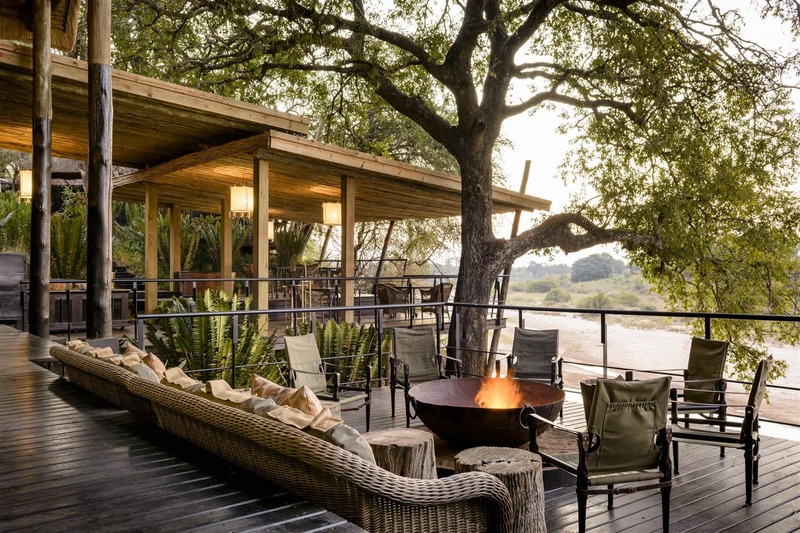 Two Bush Suites overlook a well visited watering hole and the untouched wilderness. 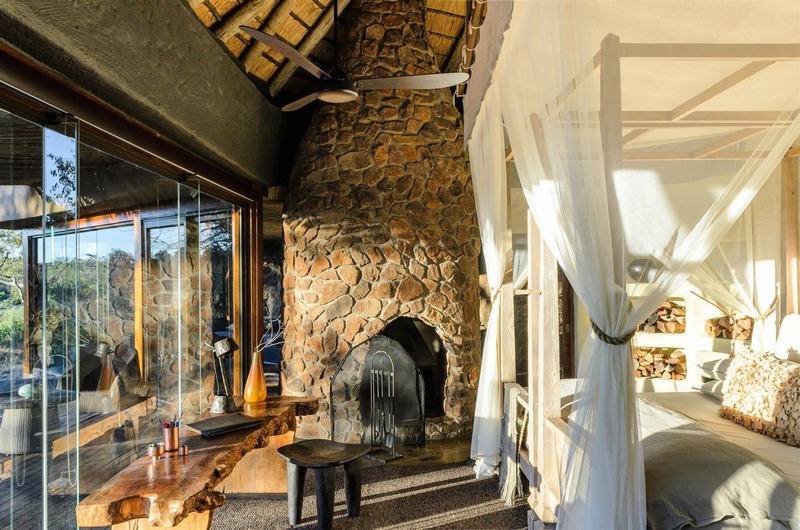 Two Family suites include an en-suite master bedroom and an en-suite twin bedroom as well as a dining and lounge veranda area with a stone fireplace, and a private viewing deck with heated plunge pool. 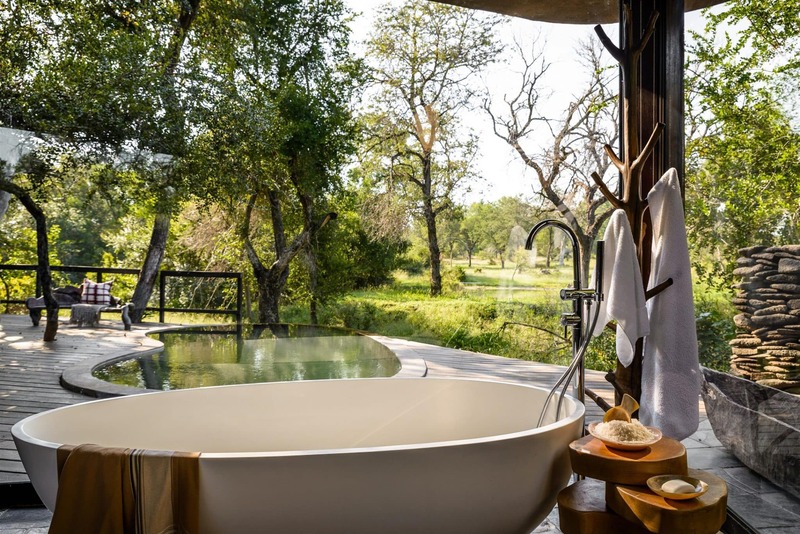 Each has an en-suite bedroom, private sitting room and game viewing deck with a private heated plunge pool overlooking the untouched wilderness. The design aims to celebrate tranquillity, space, and light. 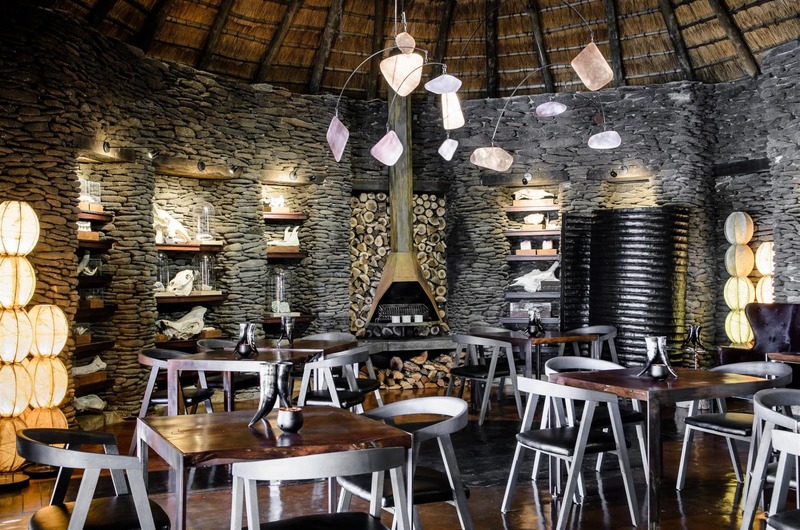 Furnishings are elegant yet rustic, hand-made from fossilised tree stumps, slabs of solid stone, wrought iron, leather, and sheep-skin. 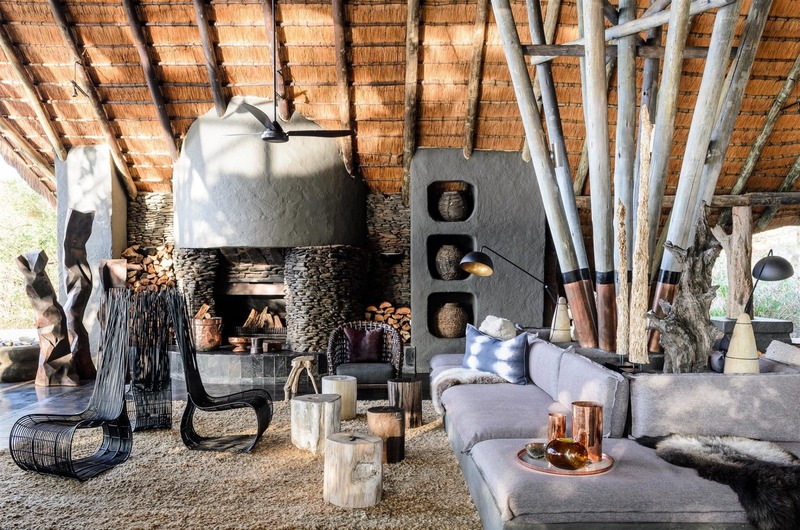 Pared-down interiors in a palette of charcoal, chalk, bone, rust, copper and ochre reflect the four elements of earth, fire, air and water. Animal skulls and bones are labelled like a science museum. 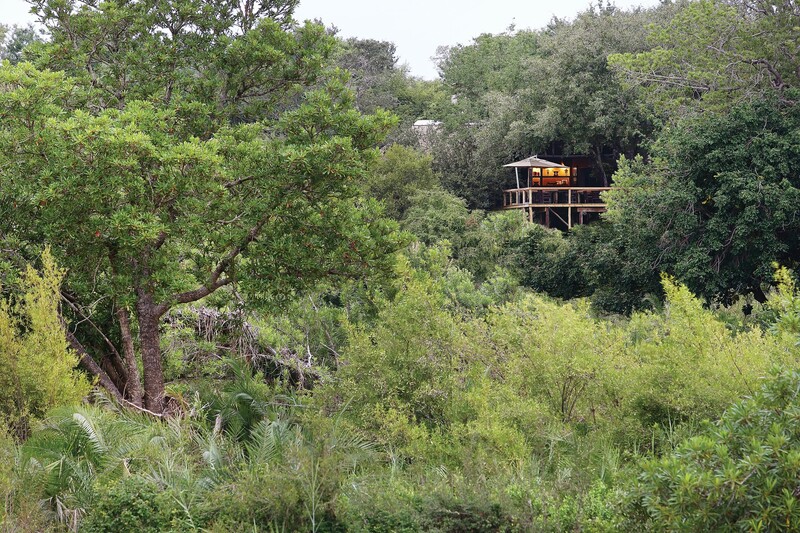 Numerous open spaces around the lodge make the most of the views. A beautiful pool overlooks the river. There is a spa and a gym. A new, outdoor dining pavilion has matted ceilings suspended to resemble the branches of a tree. Raw timber decks offer private dining and relaxation close to the pool. A central fireplace creates an inviting, focal point and cascading water adds a reflective, cooling quality. The recent refurbishment added the sociable Copper Bar, serving freshly pressed fruit juices, espressos and cocktails. 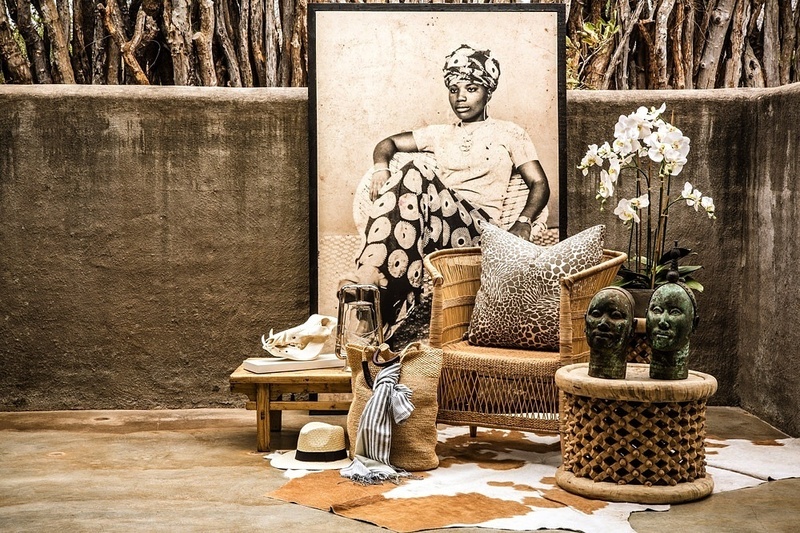 A beautiful boutique doubles as a Gallery. 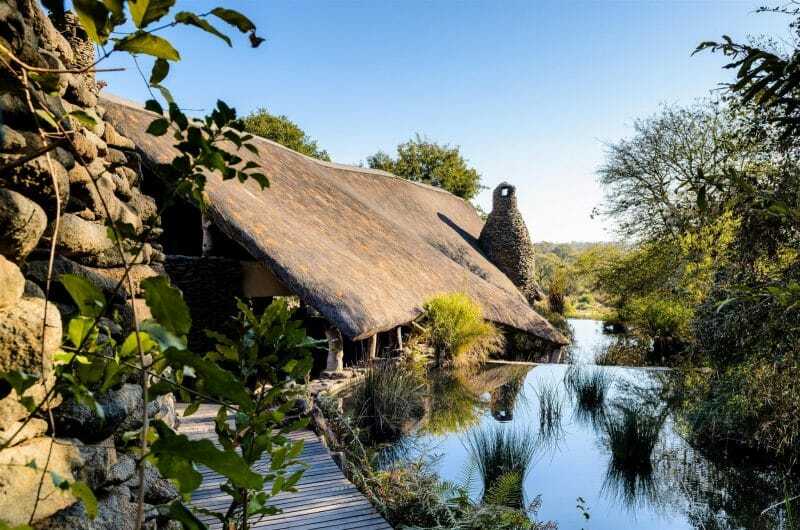 The lodge has the capacity to delight the eye at every turn.